Optima BLUE TOP DC 4.2 8016-253 8016253 Battery from Count Battery Services. Free next day delivery on all Car Batteries. 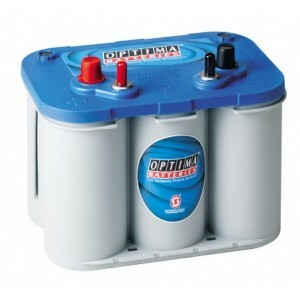 Optima BLUE TOP DC 4.2 8016-253 8016253 Battery is suitable for your boat or RV to give you an exceptional running time and more recharges than you’d get out of a traditional battery. The Optima BLUE TOP DC 4.2 8016-253 8016253 Battery has an impressive high-power delivery and extreme resistance which makes it a perfect battery for boats with trolling motors, extensive electronic systems, or RVs with creature comforts that tend to drain batteries quickly. The Optima BLUE TOP DC 4.2 8016-253 8016253 Battery can hold up well in challenging temperatures and has a low self-discharge.